The Şehzade Mosque, located in the Fatih district, was named for Süleiman the Magnificent’s favorite son, Şehzade Mehmed (1521 - 1543], whose tomb is located next to the mosque. It is sometimes referred to as Prince’s Mosque in English. Construction began in the same year as Şehzade Mehmed’s early death and was completed in 1548. Some believe that the mosque was first intended for Süleiman, but part way through construction, architect Mimar Sinan realized that he could build a larger dome more befitting the sultan. This greater mosque, known as Süleymaniye Mosque, is located nearby. The largest dome is 19 meters in diameter, with a height of 37 meters. The Şehzade Mosque was the first of Sinan’s great mosques, which he regarded as a part of his apprenticeship period. Some architectural historians regard this mosque as the first of his many masterpieces. 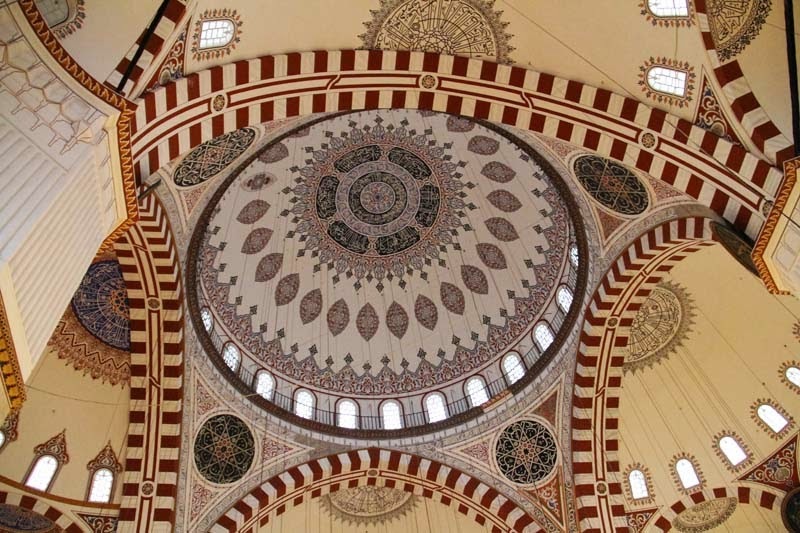 The mosque is one of Sinan’s unique works, in that it’s perfectly symmetrical. Sinan did not repeat this design in later works, but all future monumental Ottoman mosques followed this plan.